If you have a medical disability, the resulting medical and other bills can be extremely costly. If you are unable to work because of your disability, your situation might be even more dire. Luckily the Canadian government is able to help you through financial assistance and other benefits. This much-needed assistance might be the only thing getting you through the toughest times. But, as you may not be aware, any government benefits you receive are considered income and you are required to pay taxes on them. For a disabled person out of work, this can be a real struggle. Luckily, you may be eligible for a disability tax credit to significantly lessen your tax burden. If you are eligible, you could receive up to $40,000 in credits each year for relevant expenses related to your – or your loved one’s – disability. What are the Benefits of the New Brunswick Disability Tax Credit? Tax credits are very valuable to receive because they directly reduce the amount of taxes you have to pay each year. You can lessen the expenses directly related to your disability with the –non-refundable New Brunswick Disability Tax Credit. You may also receive disability bonds and grants, and you’ll have the option to pay into the Registered Disability Savings plan. With this savings plan, your contribution will be partly matched by the government. These related programs can significantly increase the amount of assistance you receive from the government. Are You Eligible for this Tax Credit? You are eligible for a disability tax credit if you have severe and prolonged physical or mental impairments that have an impact on your daily activities. Your impairment must have lasted, or be expected to last, at least 12 consecutive months. You must have a qualified practitioner certify that you have a severe and prolonged disability. You are also considered eligible if you need regular Life Sustaining Therapy. In addition, to receive any kind of tax credits from the Canadian government you, your spouse, or your caregiver must have paid a certain minimum amount of taxes. You may still be eligible even if you currently don’t receive any taxable income. Don’t Dismiss Your Disability tax credit! If you aren’t sure if you are eligible, you should still apply – there are no penalties for doing so! Don’t get discouraged by the seemingly complex eligibility requirements. There are credits and money out there to help ease the burden of you or your loved one’s disability. There is absolutely no penalty to apply for the New Brunswick Disability Tax Credit. Talk to an expert to get more specific information and to ask any questions you may have. Find out the details of the savings bonds and grants programs. You could potentially be letting $40,000 each year go to waste! Don’t dismiss your disability. 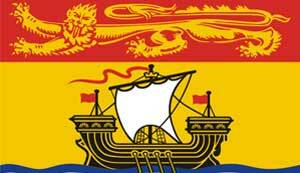 Apply for the New Brunswick Disability Tax Credit with us today.